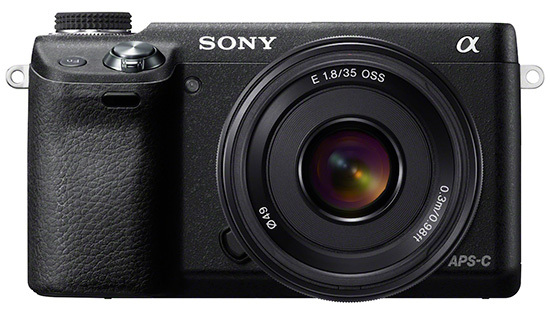 SAN DIEGO, Sept 12, 2012 – With a brand new, sleek design and enhanced control capabilities, the new Sony NEX-6 camera packs all the imaging power, shooting responsiveness, handling and operability of a DSLR into a pocket-sized mirrorless camera. The newest addition to Sony’s acclaimed E-mount camera line-up includes Fast Hybrid AF, Wi-Fi capabilities and the Play Memories Camera Apps™ platform recently introduced on Sony’s new NEX-5R model, as well as the same high-resolution XGA OLED Tru-Finder™ viewfinder found on the flagship NEX-7 model. 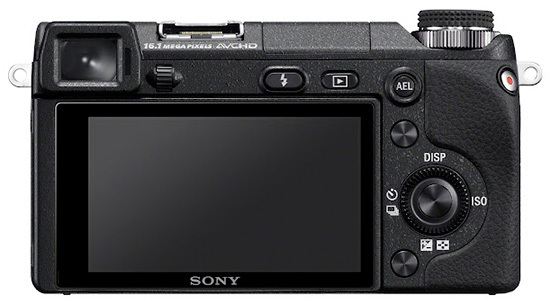 Additionally, the NEX-6 adds a standard DSLR-style mode dial for fast, simple navigation between settings. The camera’s large Exmor® APS HD CMOS sensor offers 16.1 effective megapixels for true DSLR-quality images and detail-packed Full HD video. It’s teamed with a powerful BIONZ® image processor that ensures flawless, low-noise images at extended sensitivity settings up to ISO 25600. The innovative Fast Hybrid AF system* combines phase- and contrast-detect AF methods. It uses 99 phase-detection AF points arrayed on the image sensor to detect a subject’s distance and direction to quickly lock focus on it, and then utilizes contrast-detection AF to confirm extremely fine focus detail. In Speed Priority Continuous shooting mode, the camera automatically switches to phase detection tracking AF to track fast-moving action accurately in each frame at up to 10 frames per second. As with the flagship NEX-7 camera, the NEX-6 model features an XGA OLED Tru-Finder™ EVF for precision framing and focusing. This 2.36 million dot electronic viewfinder gives a bright, detail-packed, high contrast view of still images and video, with 100% frame coverage and a wide field of view to rival pro-grade optical viewfinders. On-screen grid lines and a digital level gauge can be displayed to assist with accurate framing. The high-quality OLED Tru-Finder™ EVF is complemented by a 3.0” Xtra Fine LCD™ display that can be angled up to 90° up or 45° down (approx.) for easy viewing in virtually any shooting position. The LCD screen ensures superb detail and contrast with significantly reduced on-screen reflections, aiding composition when shooting outdoors or in direct light. New for the NEX-6 camera is a strategically-positioned mode dial on its top, similar to those found on traditional DSLR cameras, giving photographers easy access to commonly used shooting modes including P/A/S/M and Sweep Panorama™ mode. The camera also has mode-dependent control dial (located underneath the mode dial) plus a separate control wheel on the camera back for fine adjustments of exposure, ISO, white balance and other settings. Also inherited from high-end A-mount cameras, a “Function” key and pro-focused Quick Navi interface allows fingertip adjustment of settings without taking the viewfinder away from the shooter’s eye. Alongside a handy pop-up flash, there’s a versatile new Multi Interface Shoe that’s capable of ‘intelligent’ linkage with various accessories. Full HD movie shooting is enhanced on the NEX-6 camera with a new Auto Slow Shutter feature that adds extra detail to low-light clips. The camera detects dim interiors and night scenes and automatically selects a slower shutter speed to brighten footage. Shared with the NEX-5R model, integrated Wi-Fi on the NEX-6 camera allows photos to be transferred wirelessly to a smartphone or tablet running Sony’s free PlayMemories Mobile™ app (free of charge), available on both Android™ and Apple iOS platforms. Additionally, content can be directly uploaded from the camera to Facebook® using a Wi-Fi connection and the new “Direct Upload” application, part of Sony’s new PlayMemories Camera Apps™ platform. Available apps at launch, outside of “Direct Upload”, will include “Picture Effect+”, “Multi Frame NR” and “Smart Remote Control.” A variety of other apps including “Bracket Pro”, “Photo Retouch”, “Time-Lapse” and “Cinematic Photo” are also planned for future release. Sony has also introduced three new lenses for its E-mount line of interchangeable lens cameras, adding to the system’s flexibility. The new SELP1650 lens is an extremely light, compact 16-50mm F3.5-5.6 powered zoom model that measures only 29.9 mm thick (when fully retracted) and contains built-in Optical SteadyShot™ image stabilization for clearer handheld images. Additionally, it features a dual-function ring that controls both power zoom and manual focus, depending on the camera’s focus mode. With the camera set to AF the control ring adjusts smooth, high-speed zoom with small hand movements. With the camera in MF mode, the ring controls manual focus. A smooth power zoom dial makes the lens particularly useful for shooting video. The new SEL35F18 lens is a wide aperture 35mm focal length model with a bright maximum aperture of f/1.8 and built-in Optical SteadyShot image stabilization. It offers excellent optical sharpness, clarity, and background defocus in both still images and HD video, and is exceptionally light and easy to carry. The new SEL1018 lens is a super-wide angle zoom with a maximum aperture of f/4.0 across its range of 10-18mm and built-in Optical SteadyShot image stabilization. Adopting the super ED (Extra-low Dispersion) glass which reduces color aberration, the lens is capable of producing dramatic perspective effects and is ideal for shooting landscapes and interiors. The new stylish, leather LCS-ELC6 Soft Carrying Case is designed exclusively for use with the NEX-6 camera and attached SELP1650 or SEL16F28 lens. While attached, the case still allows use of a tripod as well as the camera's LCD screen to be tilted. The new LCS-EJA Soft Carrying Case can be used for all α E-mount cameras, and is ideal for use with the new SELP1650 or SEL16F28 lens attached. It has internal pockets for storage of the lens cap as well as a spare memory card. The NEX-6 compact system camera will be available this November in a kit with the SELP1650 power zoom lens for about $1,000. It will also be offered as body-only for about $850. The SELP1650 power zoom lens will be sold separately in January for about $350, and the SEL35F18 prime and SEL1018 wide angle lenses will be available this November for about $450 and $850, respectively. The LCS-ELC6 and LCS-EJA soft carrying cases will be available this November for about $100 and $40, respectively.